Modular Tents are preferable items during special events and ceremonies occur that are organized or managed by private event planners, decorators and event management companies in India. 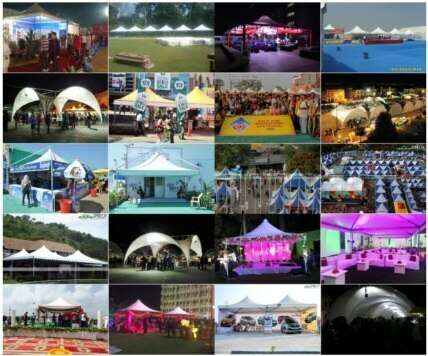 At TRIGON STRUCTURES, we have a large selection of waterproof canopy tents to choose for special occasions such as private or corporate parties, exhibition displays, wedding gazebos, or outdoor events tensile structures available in various sizes, colors, and shapes for sale. We specially design and customized product to suit client specific requirement and demands.